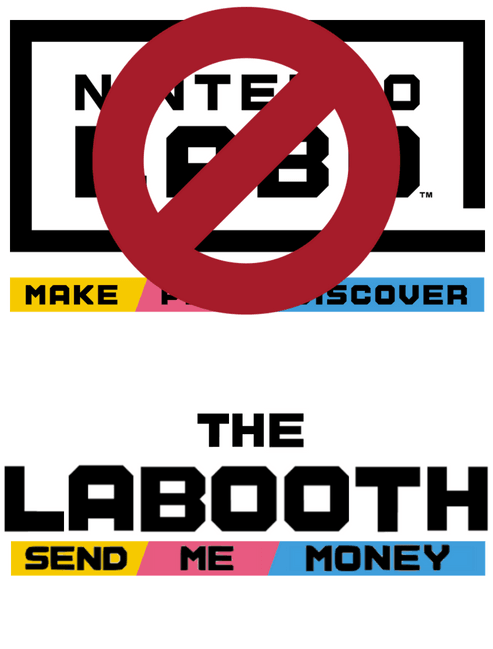 When the Labo was announced, I was excited. I’ve been a Nintendo fanboy for some time, so I was pumped to see what the Japanese games company had created and put it through its paces. But, I couldn’t, because Nintendo wouldn’t send me one. Now, this needs a bit of context. TNW is an international publication and we have millions of readers across the globe, the majority of which are in the US, India, and UK – which makes sense, as we write in English. Yet, sense isn’t exactly what the PR industry always relies on. As our headquarters are in Amsterdam, we’re viewed as a Benelux publication, despite the fact we don’t write in Dutch, French, or Luxembourgish. Now, in these markets, we don’t get the same number of visitors because, you know, people tend to read things in their own language. The heathens. So, when it came to Nintendo sending me a Labo, its UK division passed me over to its Netherlands branch which was, well, not too keen. Well, that’s not gonna stop me, Nintendo. Momma didn’t raise a quitter. I receive a lot of products to review (check our Stories on Instagram) and you know what they get sent in? Cardboard. And, at the end of the day, what’s a Labo? You got it: cardboard. Well, and a Switch console, but let’s not split hairs here. Logically, there was only one solution: I had to make my own Labo. A better, purer, more brilliant device that doesn’t even need some new-fangled, fancy bit of touchscreen, and mobile technology to work. Just watch me, Nintendo, watch me. I’m coming for your revenue. Like with everything in this wild world, the key for this new bit of kit’s success is all in the branding. And, as I’m not narcissistic in the slightest, it had to include my name. So, drum roll please, can everyone welcome the Labooth into the world. Branding complete, I then had to decide what to actually make, so I went and checked out some of Nintendo’s # c o n t e n t.
There were a lot of options, but I had to pick three that covered the widest consumer base, otherwise how would I ever knock Nintendo off its perch? So, I went for the piano (for all the arty folks), the fishing rod (for the outdoorsy types) and the robot suit (for the megalomaniacs). Humanity in a nutshell. Now it was time to do the damn thing. 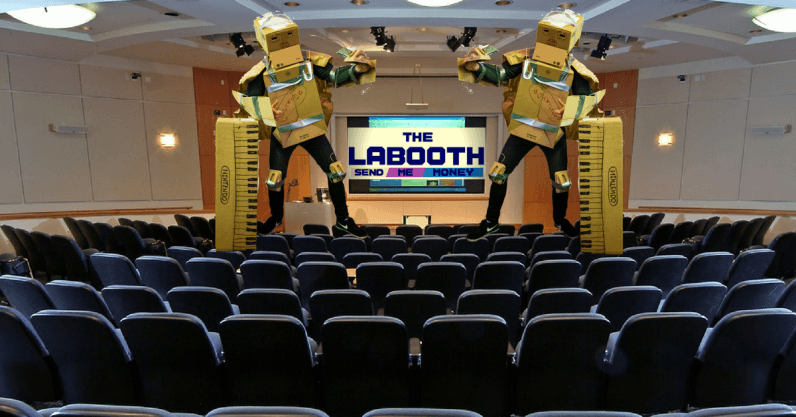 With the piano and fishing rod being the simplest to construct, those were the first elements of the Labooth to be breathed into existence. You wouldn’t get better craftmanship in the ‘factories’ the Labo is (probably) made in. Check out that hot cardboard shaft. Who needs a screen or a game with points when you have the pure unadulterated pleasure of dipping some cardboard in water? Now, I’ve never actually been fishing before, but I have read The Old Man And The Sea, which I feel makes me more qualified than anyone who has dangled bait from a boat. Man, this machine was slick. How well it work? Let’s put it this way, I’m not going to have to buy a tin of sardines to smear on my toast tonight. Score. Not even a competition. Firstly, the “official” one from Nintendo is too small, how are two hands going to fit on there? Secondly, physical keys break. They get all clogged up with grease, bodily fluids, and are strangely susceptible to marmalades. There are none of those issues with our design. Using the latest technological advancements in marker pen, imagination, and an inflated sense of self-worth, we surpassed Nintendo’s paltry attempt at a piano. The ball’s in your court, Nintendo. Nah. We don’t play like that at TNW. We can do better. Oh. Hell. Yeah. Let’s take another gander. We all know it’s not just the suit that attracts people to the Nintendo robot – it’s the games you play. On the non-Labooth version, you spend time destroying a virtual world. Honestly, Nintendo? Really? That’s a pretty negative message to be sending. Instead, the Labooth robot suit is here for enjoyment of everyone. It has a basic, understated, and subtle purpose: to improve and change every aspect of life, so you can be a better person. Something it does with aplomb. Try doing that with a Switch and a Labo. Oh wait, you can’t. Hard luck, bud. If, for some weird reason, you’d rather just buy a regular Nintendo Labo, you can take your treacherous self over here for the variety kit or here for the robot. You can do the same with the Switch. Read next: A Siri-powered Beats speaker may launch next week - but who wants one?